Pharmaceutical Packaging Reference from C.H.I.P.S. According to the FDA Quality System Regulations, manufacturers must ensure that "device packaging and shipping containers are designed and constructed to protect the device from alteration or damage during the customary conditions of processing, storage, handling, and distribution." As specific as this statement is, the FDA does not provide instructions on how to achieve their standards. 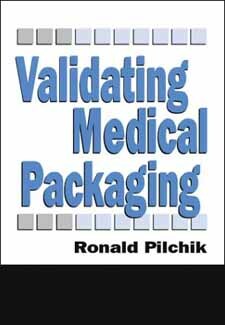 Validating Medical Packaging demystifies the validation procedure for medical device packaging by providing specific examples and templates for creating and maintaining a validation file. Process Validation: What is It?